The 1-star hotel has air-conditioned rooms with a private bathroom and free Wi-Fi access. All rooms are equipped with a terrace with a mountain view, complete with bed linen and towels; while selected guestrooms come with a balcony. Guests at Thanh Phat can enjoy a full English/Irish or an Asian breakfast. 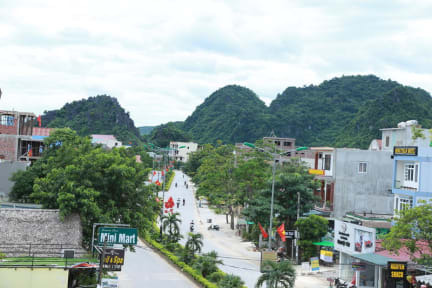 The area, where Thanh Phat is located, is popular for cycling, and bike hire and car hire are available at the accommodation. Speaking English, Lao and Vietnamese at the reception, staff are ready to help around the clock. 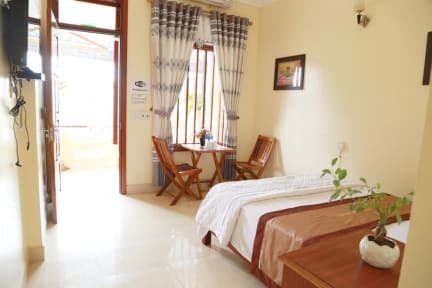 The nearest airport is Dong Hoi Airport, 32 km from Thanh Phat Hotel. 1. Guest can pay by cash or card, but extra 3% service fee will be charged when using credit card. 4. Age Restriction: Guests must be 18 or older to book a room. 5. We have reception 24 hours. 6. Please note that for security purposes, you will be asked to provide a valid government or state-issued photo ID at check-in. 7. Cancellation Policy: 1 day before arrival. 8. Taxes: not included. 10% will be added.